1/2 28-1/2 CSA-EVT-40050 10-1/2 150 @ 70° F 4"
1/2 28-1/2 CSA-EVW-40050 10-1/2 150 @ 70° F 4"
EFP CSA rated loops are designed specifically for natural gas piping applications and are certified by CSA International for applications in the United States and Canada. 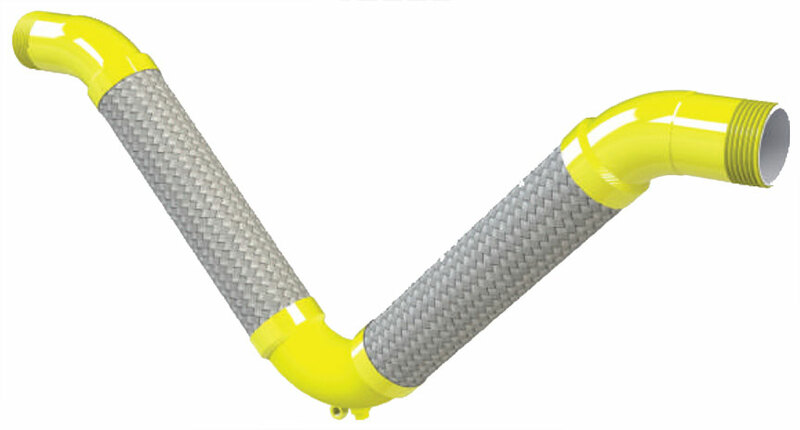 These loops are constructed with 316SS hose & 304SS braid, either carbon steel or stainless steel Sch40 elbows and either male NPT or beveled pipe ends. These CSA rated loops are rated for 150 psig with a minimum of 6:1 safety factor. EFP CSA rated loops are all rated for 4” travel (motions X, Y or Z) and are available in 1/2” through 4” diameter.